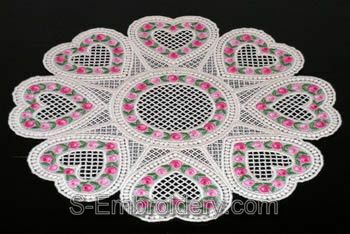 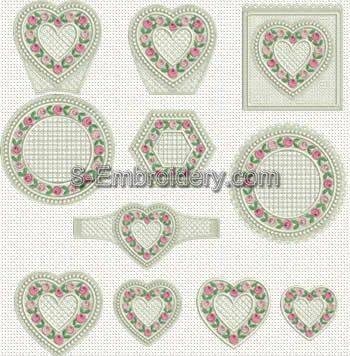 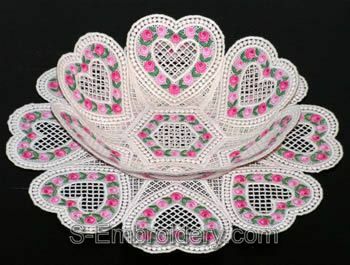 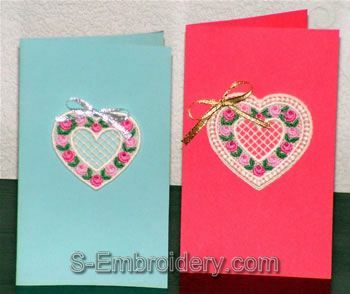 These designs can be used as decoration for Valentine greeting cards or in other embroidery projects. 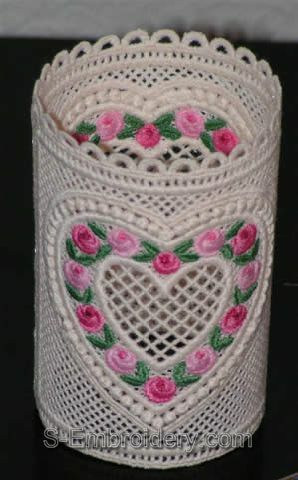 The larger Heart #1 design can also be used as a coaster. 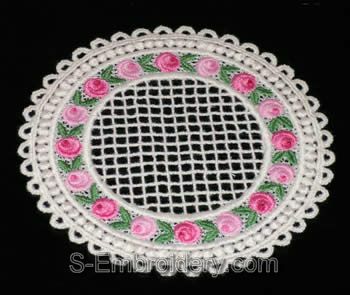 All designs have 5 colors. 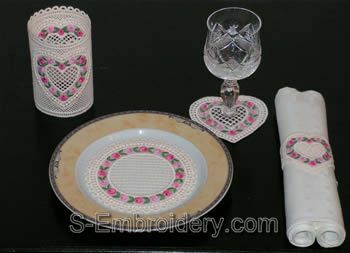 You receive 11 embroidery files, as well as a color chart and instructions in PDF format.